This book is not a grammar book, containing sentence diagrams and other standard fare. It is not a list of invention techniques or a series of writing assignments. 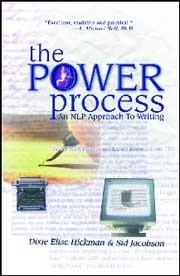 · It is a workbook to guide the reader through a writing project. · It is an invaluable source of reference for handling particular problems or situations. · It will help in every kind of writing, from literary fiction and poetry to business correspondence. In short, it is the vital reference and guide for every writer, a simple (but not over-simplified) model to follow, both in the writing process and indeed in the whole of life. Uses NLP techniques, and contains a bibliography for further specialized reading. It is highly recommended.